Thermally enhanced firewood that is guaranteed to light easily, burn cleaner, and produce more heat. 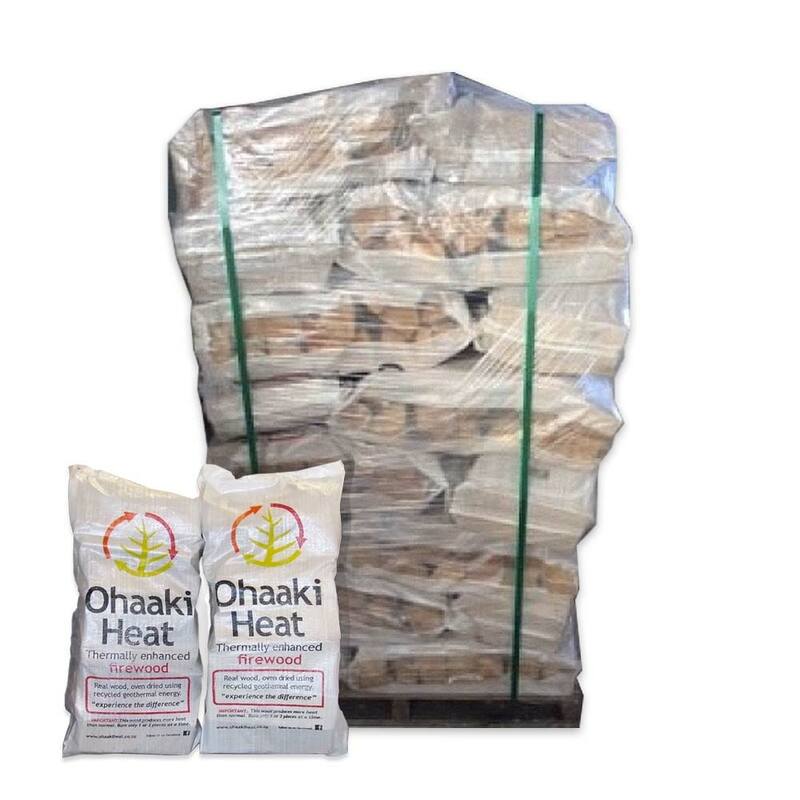 Ohaaki Heat is the driest natural firewood on the market. It produces fewer emissions, less ash, and much more heat. The result is a warmer house, cleaner chimney, and a healthier environment. The oven drying process is also environmentally friendly, using hot waste water from Ohaaki Geothermal Power Station to heat the kilns, minimising the carbon footprint, making it the greenest, and best firewood on the market.